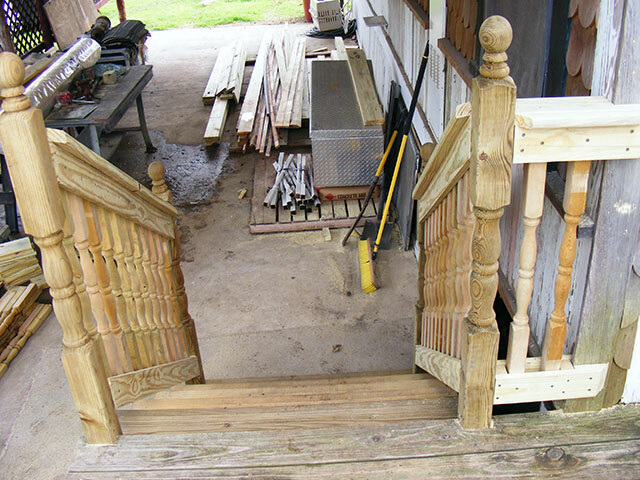 ← The start of a VERY long project (railings). 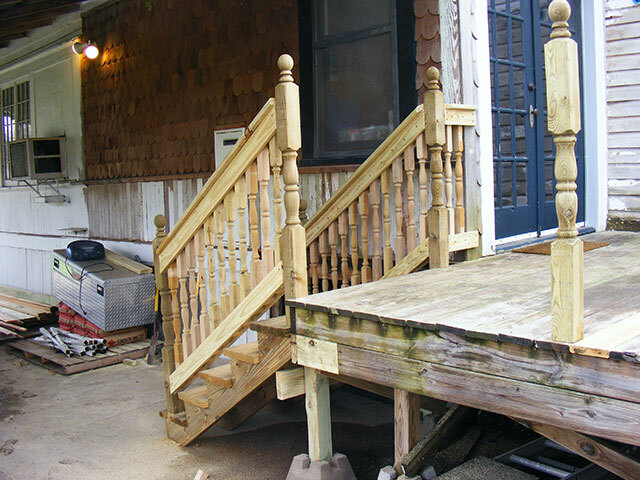 You may recall in this post that I started the railing project on The Old Vic…of course…that means doing lots of stuff other than railings. 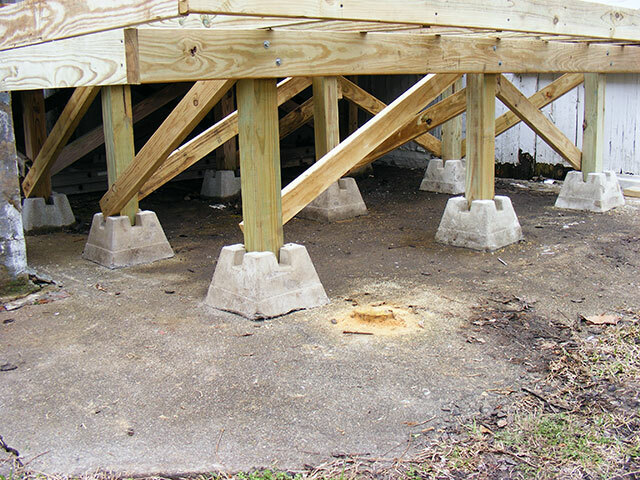 We had always intended the deck to go to the edge of the house, but had only built part of it due to budgetary limitations…choosing to address other, more important infrastructure kinds of things first. 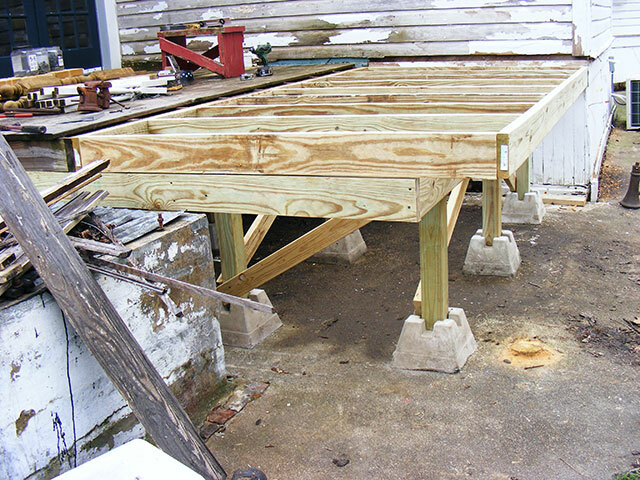 So…railing time turns to deck expansion time…and there’s a slight budget again so off we go! 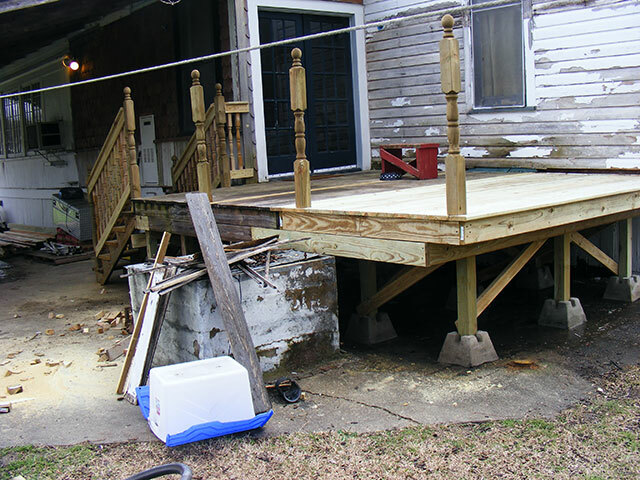 This weekend I finished the deck extension that was needed before I could complete the railings on the back of the house. 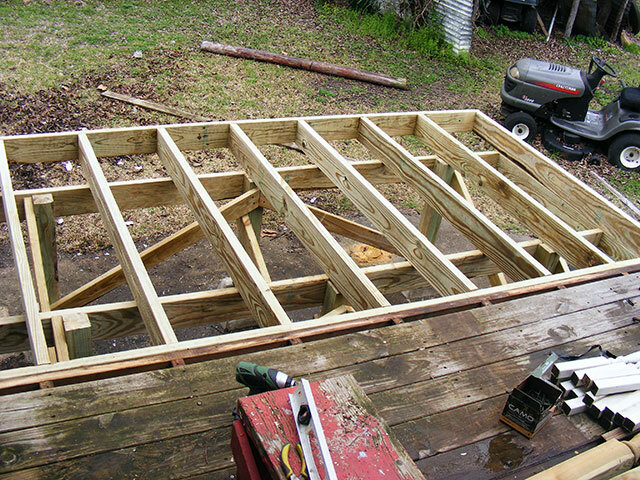 The Deck Framing…overbuilt as usual. Yes, you could park a truck on this thing. Please don’t. The railings are a decent look for a Victorian I think and will go well the with the columns on the front (with a proper paint-job of course). 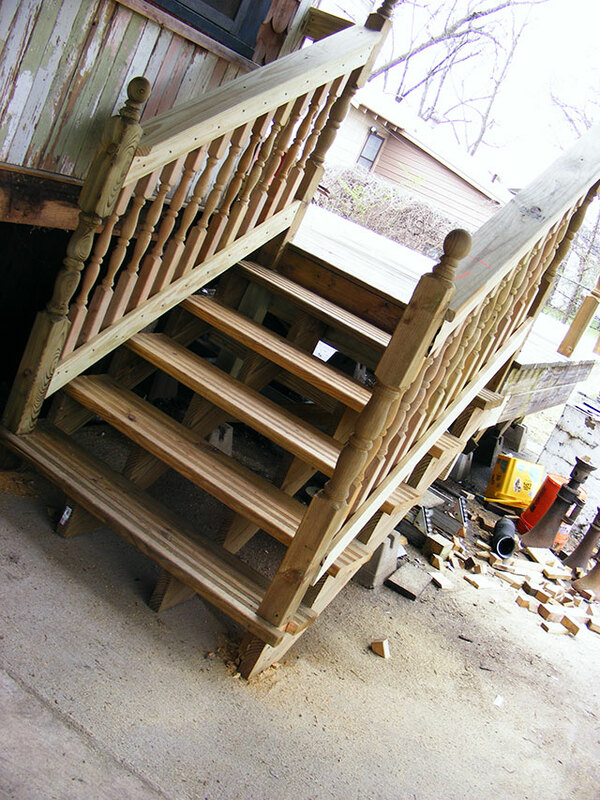 Hopefully I can get the rest of the railings on next weekend. Not a bad bit of work…for one guy…between the rainstorms. I suspect that big hunk of concrete block with sill bolts in the 2nd and 4th pictures is the footing from the Trash Incinerator. That needs to go away, I’ll bet – they’re a bit dangerous (“Oops, there goes the house…”) and a lot of illegal in many places, air quality dont’cha know. Then there’s that one lonely patch of cedar shingles that doesn’t match the rest of the ship-lap. The hunk of concrete is actually a brick enclosure around a hand-dug water well. It was the water source for the neighborhood “back in the day”. We are not currently using it, but probably will for irrigation some day. I’ll just skirt behind it. Eventually we will probably “spiff up” the top of it a bit…put something resembling an old hand-draw well cover or such. The cedar actually matches several areas on the house that are accented that way. All the high dormers and several patches on the front porch are done in cedar shingles.